A popular member of our seaside range, this gorgeous handmade, fair trade crab rattle is hand crocheted in cool blue and green tones. The six legs and two pincers are the ideal size for baby to grasp onto and the gentle soothing rattle sound is stimulating for your baby. Who made my crab baby rattle? 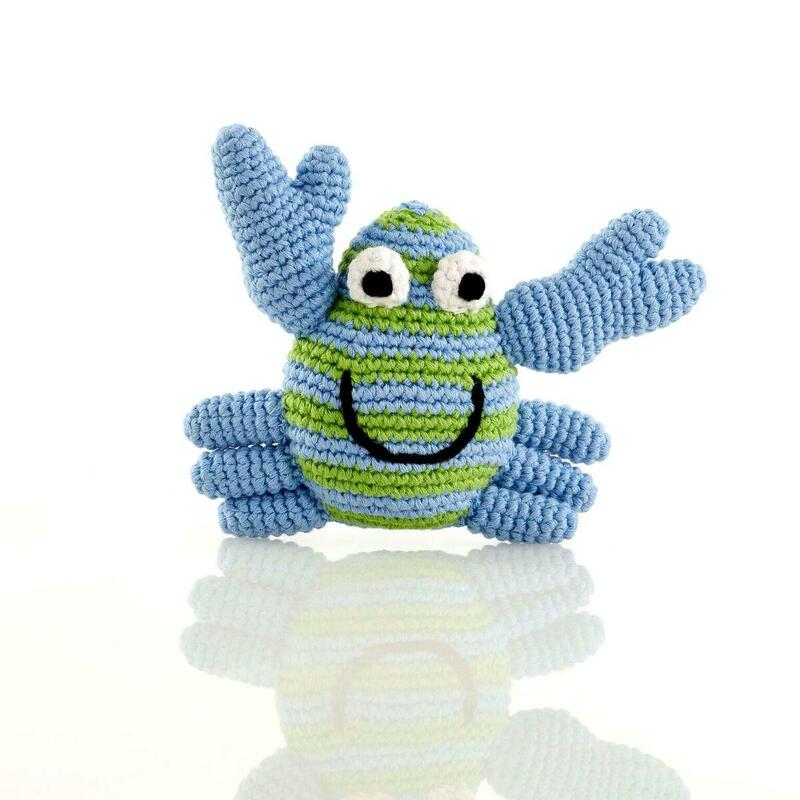 Our crochet cotton crab baby toys are made by our fair trade partner Pebble.